CNC wire bending machine is a kind of stirrup bending machine. It is also widely used in the building and construction industries. Compared with the normal stirrup machines, CNC wire stirrup bender machines have a stronger work capacity. And its structure is more compact than the normal machinery. Our Ellsen cnc wire bending machine has yielded a good return in the international market; and it will be a good choice for the building and constructing industries. 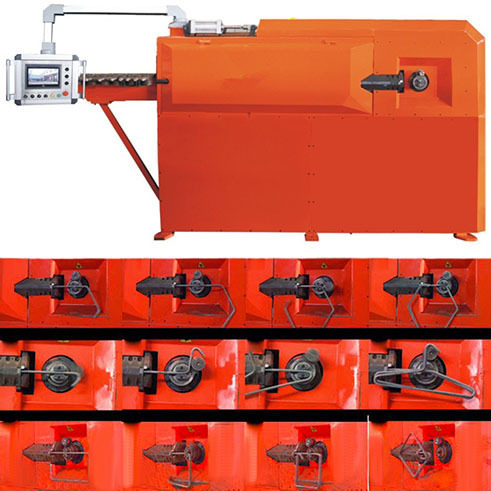 CNC wire bender machinery has lots of competitive advantages in the rush markets. Ellsen cnc wire benders have two types of different machines. The difference of them is the drive motor. The drive motor of one type is driven by air, and the other adopts the hydraulic device. 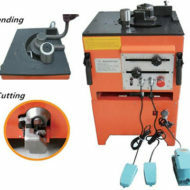 Ellsen wire bending machines all have three motors for different functions. 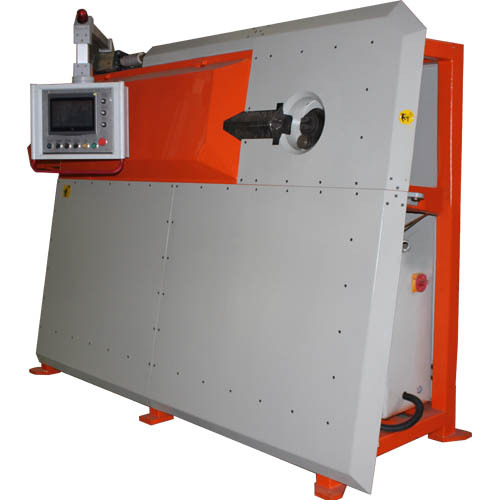 cnc wire bending machine consists of three functions of bar straightening, stirrup bending and cutting. 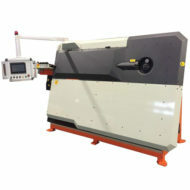 This bender machines have numerical-controlled panel; and it is easy to operate, even a layman can learn how to use it quickly. When there is a need of constructing a building, cnc wire benders can save a lot of time and minimize the labor force. 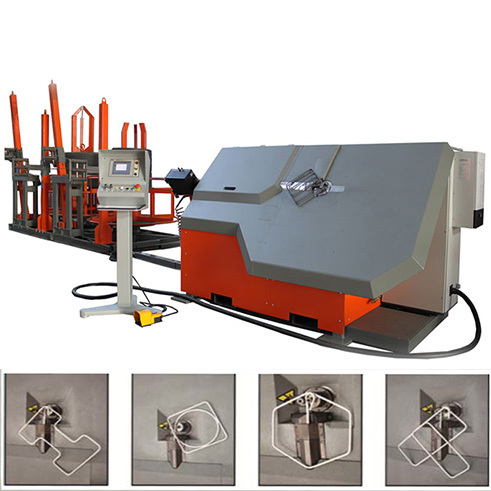 The max bending angle of cnc rebar bending machine is 180°. 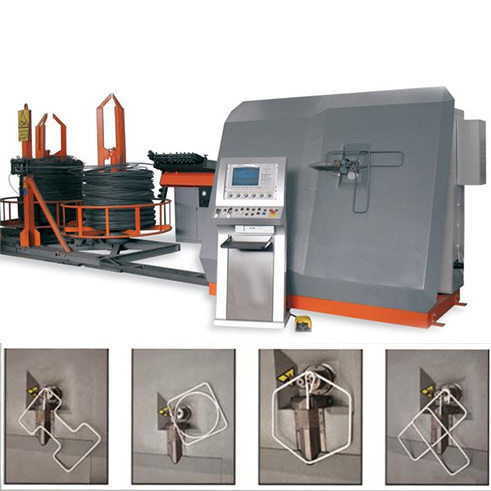 And this bar bending machine can process rebar of not only single round wire but also double round wire. How does Ellsen Wire Bending Machine Works? 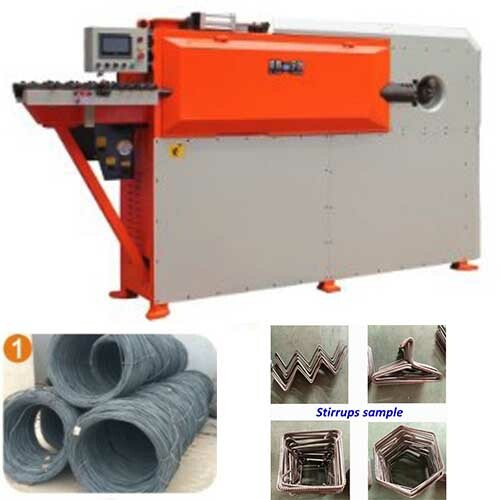 When cnc wire bending machines are used to processing bars, they will straightening the coiled bars first, then bend them into various shapes, and after that, the cnc wire cutting program will cut it with the blade. You can set different data according to your different needs on the numerical-controlled panel. And Ellsen cnc machinery is able to process rebar in batch. Ellsen cnc wire benders can bend coiled rebar into different forms, for example, five-pointed star, triangle, quadrangle, pentagram, ring and many other polygons. 5. Able to process in batch. After a 20-year development, Ellsen machinery makes a success in exporting and importing machines; and it has developed to be one of the leaders in this field in China. Ellsen manufacturers and factories are equipped with sophisticated equipment. Our technicians adopt advanced technology to manufacture machines. And all Ellsen machines are designed reasonably. The good quality and relatively lower price make our machinery much more competitive in the national and international markets. Our company also provide customized-made machines according to different requirements of clients.